In depth conversations and wisdom from Austin artists and creatives, about life, work, and creativity. 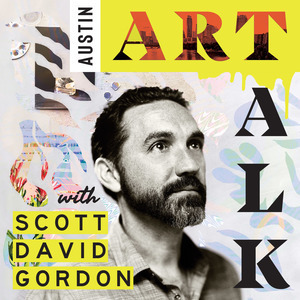 We found 8 episodes of Austin Art Talk Podcast with the tag “photography”. Getting to interview John Paul was definitely at the top of my wish list while visiting Maine during the month of August 2018. As I say in the interview I've been following his work for years and have always been impressed with how generous he is with his teachings and processes and also the depth and beauty of his images. If you are looking for a technical discussion on Photoshop and cameras to choose this is not the one. We had a fairly philosophical conversation about many subjects including defining a mission in life, being present, nature, spirit of place, creativity, play, and how to find your own way as an artist and a human. I love how thoughtful and specific he is with his words and wisdom. It’s no wonder he is a sought after lecturer and teacher. Most of us have seen great live and behind the scenes images, or portraits and press photos of our favorite bands, but do you ever wonder who gets to take those? Pooneh Ghana is local but for the past 10 years she has been spending a lot of her time traveling all over the US and the world photographing at music festivals, touring, and doing portrait and video shoots. Many of the bands you have probably heard of but some maybe you haven’t. She is inspired to capture these musicians and events because of her love of music and to help share and support the community. Visual artist Charles Heppner’s work spans many different mediums and has many themes but ultimately focuses on the sanctity of beauty, especially in nature, how its appreciation makes us human, communication, and the interconnectedness of everything. He is devoted to both being an artist and a great parent and has figured out how to be present in both as he has integrated his art practice into his life as a stay at home dad. Elizabeth Chiles creates photographic collages and complex composites with images she has taken of nature. Growing up her love of the outdoors and the openness of the big Texas sky lent itself to her eventual pursuit of the natural world as her primary subject. As a child each day was an eternity without rules, with time to explore and enjoy her shared suburban wilderness. Photographer Faustinus Deraet learns more about himself every time he clicks the button on his camera, captures an image, and makes a print. These images are windows into his subconscious (subconsciente) which end up revealing something deeper that needs to be expressed. As an advertising and editorial photographer, Kirk Weddle has had the chance to work all over the world with a lot of different individuals and corporate clients. Throughout his career he has honed his skills photographing people and loves to do environmental portraits which often include the opportunity to visit some interesting and exciting locations. He has also specialized in a very difficult and adventurous type of photography. Underwater. That led him to his first big break. Claire Howard is the Assistant Curator of Modern and Contemporary Art at the Blanton Museum of Art. Our conversation centers around the traveling photography exhibition The Open Road: Photography and the American Road Trip. We learn about the images in the exhibit, what it takes to plan for and integrate a new show into and existing space, and the opportunity to curate additions that are relevant to a local audience.